There has never been a better time to color coordinate with your friends AND your drinks! 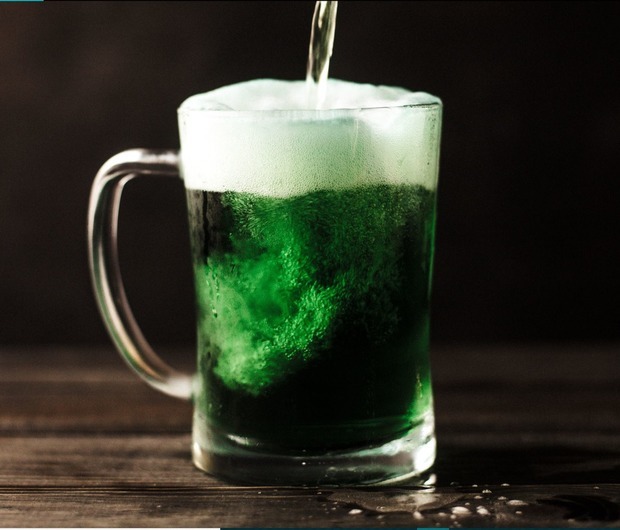 Bring your friends and come drink some green beer here! 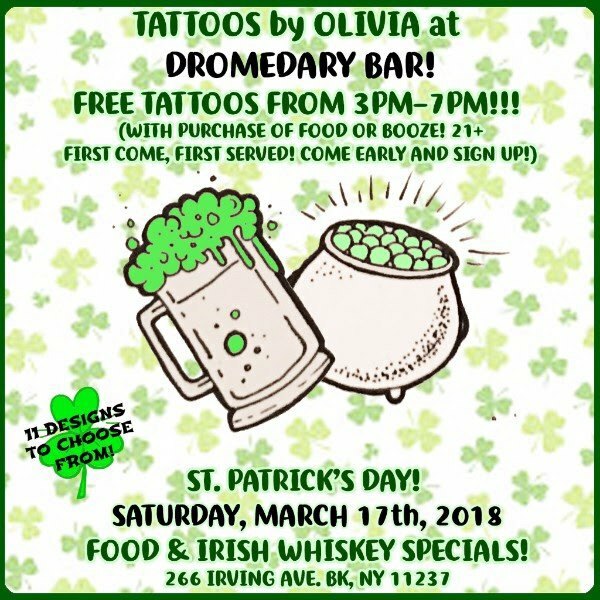 WHAT: Save your green this St. Patty’s day and get yourself a FREE tattoo from Olivia Pakitsas between 3 and 7 p.m..
Limited availability so come early! Dromedary will be serving up their classic delicious burger with some smoked corned beef and beer mustard! Also, starting at 8, the bar will be showing the Conlan fight on ESPN ( not breaking any licensing rules this time!). KEGS & EGGS @ PRECIOUS METAL! 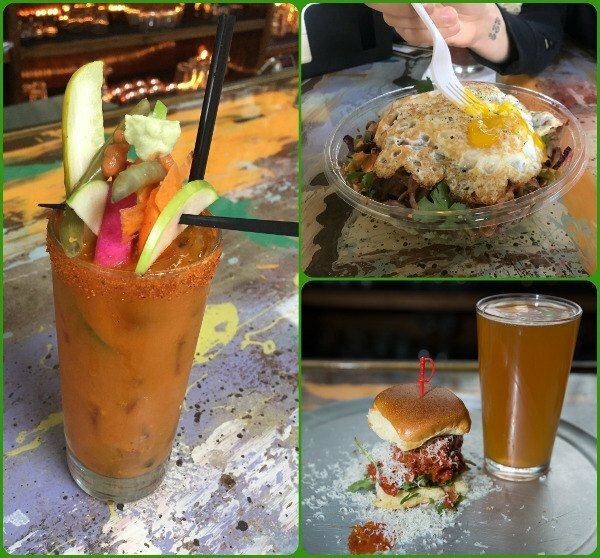 WHAT: Bushwich Sandwich Lab at Precious Metal is debuting their first ever brunch just in time for St. Patty's Day! Pair your brunch with one of 18 curated craft beer draught options, a festive seasonal cocktail or an award-winning Bloody Mary! ST. PATTY'S @ PINE BOX ROCK SHOP! HOW MUCH: Never a Cover at Pine Box! 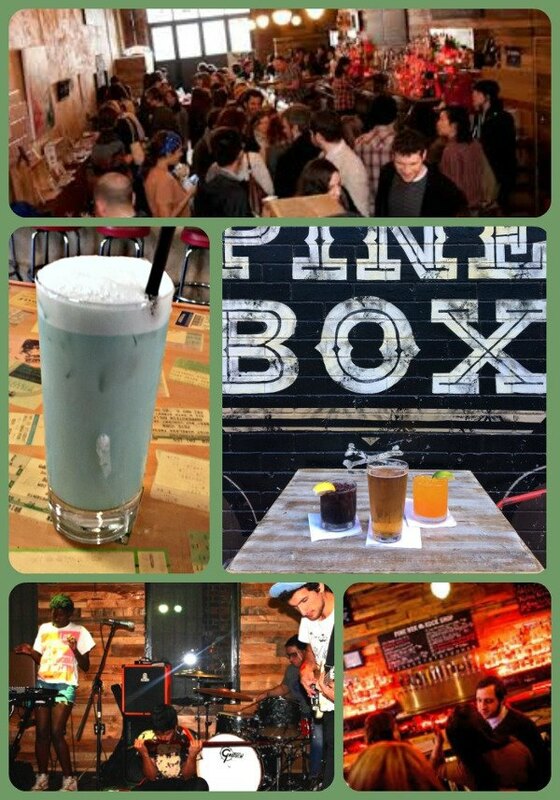 WHAT: Pine Box opens at 11 a.m. for this month's Vegan Shop-Up with Cruelty-Free Car Bombs and Boozy Shamrock Shakes until 6 p.m.!